When it comes to timing your home sale, predicting the real estate market can seem impossible. Even psychics don’t always know what the future holds for real estate. But you can make some predictions based on what’s happened in past real estate cycles. For starters, 2016 is an election year. There’s also talk of interest rates potentially rising even higher than the quarter-point hike that went into effect in December, the first such rate increase since 2006. Your strategies for selling, because of those issues and more, might differ this year. 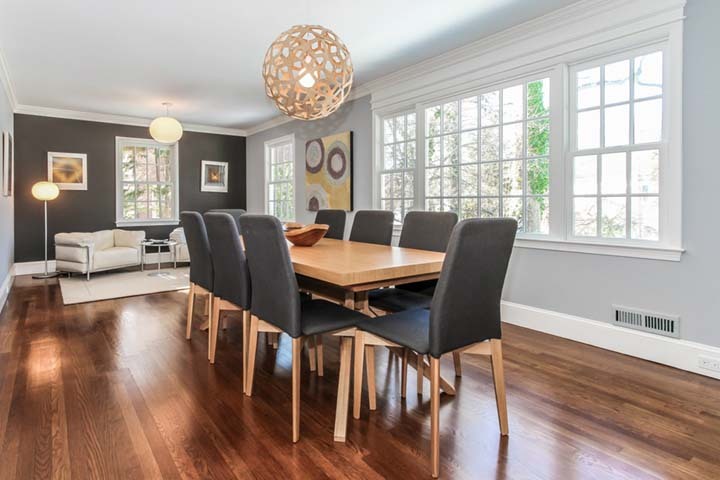 Here are six clever tips to learn how to sell a house fast and to help your home sell quickly in 2016. 1. Price the home right. If you ask two real estate agents whether you should underprice or overprice your home for sale, you might get opposite responses. The overprice camp believes you can get more money by asking for more money. The underprice side believes you’ll pique the interest of more potential buyers by asking less than the price that comparable properties fetch. That could start a bidding war, which could drive the price back up. 2. Finance the sale yourself. Federal Reserve officials are calling for a gradual rate increase over time. The federal funds rate has been 0 percent for years. The recent December increase brings the rate to 0.25%. The next increase will bring it to 0.5 percent, and there could be more increases after that. “If mortgage rates [keep rising], this will begin to affect affordability across the board,” says Brune. One way to help a potential buyer afford to buy your home if interest rates rise is to “offer to finance the purchase; be the bank,” says Miles. If you finance the deal, you can make the monthly payments work for your buyer by offering a lower interest rate than they could get from a traditional mortgage lender. It’s always a good idea to present your home in the best light possible before a sale, and doing so becomes even more important during a buyer’s market. — Deep-clean from top to bottom. — Remove screens from windows to let in more light (make sure the glass is clean). — Clear all walkways throughout the house. — Make sure all doors, closets, and cabinets can open easily. — Put out fresh fruit on the kitchen table and fresh flowers on bathroom counters. — Display clean towels in bathrooms. — Hide all personal items in bathrooms, including trash cans. — Pull furniture away from walls to create social sitting areas. — Give each room a purpose, especially oddly shaped or random rooms. — Paint the ceilings white, especially in dark rooms, to reflect more light. 4. Prepare for El Niño. The topic of weather is more than just small talk when it comes to selling your home. Extreme weather conditions, such as more rain from El Niño, for example, play a role. And El Niño is likely to be a factor during winter and early spring 2016, according to the National Oceanic and Atmospheric Administration. “It may seem strange that a weather event could have an impact on home sales, but knowing that weather is coming can be a deciding factor for purchasing older homes, fixer-uppers, and anything with a roofing, foundation, or plumbing problem,” says Alexander Ruggie of 911 Restoration. — For colder-climate homes: Add gutter heaters, which keep gutters and downspouts running free and clear. Doing so helps prevent ceiling leaks from overflows from increased snowfall. — For homes in warmer climates: Keep water at bay by adding weatherproofing tape and new window glazing. — For homes with basements: Purchase a sump pump. You can also appeal to environmentally conscious buyers by installing a water catchment system to harvest rainwater from El Niño. Springtime and early summer are traditionally good times to put your house on the market for a quick sale. And this becomes even more important in 2016 since it’s an election year. It’s a safe bet that when you sell your home in 2016, your target market will be millennials, people between the ages of 18 and 34. Millennials tend to like backyard decks, gourmet kitchens, open floor plans, balconies with views, and vegetable gardens. If your home has any of those amenities, feature them in your marketing. Getty ImagesThis home’s decorations might thrill people out looking for light displays but could be a turnoff for potential homebuyers. Selling a home during the holidays can be tricky. Decorations could turn off potential buyers who might have been interested in buying a particular home — if they hadn’t been distracted by the huge collection of inflatable decor in the front yard. ShutterstockAway from the bright lights and big money, the Las Vegas housing market still has not recovered fully from the collapse. At one point in 2012, more than 70 percent of Las Vegas homeowners with mortgages were underwater, many of them owing more than twice what their homes were worth. The negative equity rate has fallen to 25 percent but remains higher than any other major market. In normal markets and times, that rate is closer to 3 percent. Among those affected is Terrie Brooks, a bingo agent for 30 years who never dreamed she’d resort to giving blood to pay her mortgage. With income of $60,000 a year and money in savings, she paid her mortgage for four years after the recession hit and her employer cut her hours. She fell behind after her college-age son, who rode a moped between classes and work to save on gas money, was in a terrible accident. A traumatic brain injury left him incapacitated for two years before he died. “I thought I had put away for a rainy day and was keeping up. Once my son was in the hospital, I didn’t care,” said Brooks, who often stayed home, even when work called, to feed her son and otherwise care for him. Brooks tried to make up for the lost hours by selling blood and participating in focus groups. She also tried to get a loan modification but became stuck in a bureaucratic cycle — a process so common it was the subject of one of the focus groups she was paid to attend. Getting a loan modification when people all over town — and many across the country — want one too is no simple thing. Some people give up and stop paying. “I closed a deal in August where a guy hadn’t made a payment in 88 months,” said Tim Kelly Kiernan, a real estate agent with Re/Max Benchmark Realty. That homeowner wasn’t alone, by a long shot. Many people in Las Vegas stopped paying their mortgages for months and years at a time with little consequence. Some filed for bankruptcy and walked away, assuming lenders would take ownership, only to return years later to find the homes still in their names. Sometimes, their homes had been taken over by squatters or, more absurdly, by renters making monthly payments to someone who’d swooped in and pretended to be the owner of an empty house. Kiernan had one such client who ended up doing a short sale — negotiating with his lender to sell the house for less than he owed — and walking away with cash to relocate (and to leave the house in good condition). Getting lenders’ attention is the hard part. For a while after the housing bubble burst, lenders rubber-stamped foreclosures so fast — in Las Vegas, foreclosures reached six times the national rate — that they ended up in trouble and were forced to slow down. Now they often approve short sales and loan modifications, if a borrower keeps the same lender long enough to negotiate such a deal and to exchange the proper paperwork. “It can be very frustrating,” said Christine Miller, a lawyer at the Legal Aid Center of Southern Nevada. It’s against mortgage servicing regulations to draw out the process, but fighting that means filing a complaint with the Consumer Financial Protection Bureau, “and that’s a process” as well, Miller said. 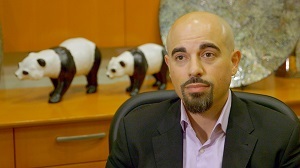 Tangled in financial red tape, some homeowners turn to experts like Judah Zakalik, an attorney who for two years defended banks against predatory lending lawsuits, then was laid off and switched to the consumer side. People have to be careful where they turn for help, Zakalik said. Some charged upfront fees, then skipped town. Others filed bankruptcy papers but didn’t take clients’ names off homes — and squatters often beat lenders to those properties. Even now, people are renting abandoned homes from landlords who are not the rightful owners. “I see it at least once every two weeks. I saw it this morning,” Zakalik said. Despite their dire situations, many people balk at filing for bankruptcy or not making mortgage payments. “They’ve been told, ‘You’re a bad person if you do that,'” Zakalik said. The need for those discussions has waned. Military retiree Robert Lujano stopped making payments just to get his lender’s attention. “They said, ‘You’re not making payments.’ And I said, ‘That’s right. Didn’t I try for five years to get you to refinance? '” Lujano recalled. He negotiated a short sale that included $2,500 in relocation fees. It only marginally hurt his credit score, and he plans to buy another house next spring. “This would be a great time for many, many people to buy a house,” he said. With help from the legal aid center, Brooks also renegotiated her mortgage — but the relief is temporary. Her monthly payment has dropped from $1,300 to $760. After 22 years, however, she will owe the full balance of her original loan — $100,000. “They said, in a couple years I can do a short sale,” Brooks related hopefully. If not, there’s bound to be another way. Already, a passel of homeowners are pioneering another mortgage frontier: re-defaults. Not so fast, if you’re searching for a home during the holidays. Before you get swept up in the tide of frantic holiday shopping, it’s important to know that going overboard on gifts for friends and family can impact the total loan amount you’re ultimately approved for, and it could even kill the approval entirely. 1. Don’t apply for new credit or rack up new debt. When you reach the cash register with your arms full of holiday gifts, it’s easy to entertain the idea of opening a store credit card. Just fill out the application, add your John Hancock, and you could be walking away with a significant amount off your total purchase. However, opening this line of credit requires a hard credit inquiry — one that could ding your credit in the process. In addition, you could impact your debt-to-income ratio or signal to the lender that you are a greater risk than they previously thought. Tammi Robson, a mortgage broker at Metro Lenders in Denver, tells her clients about the importance of being debt-free or keeping debt levels stable during the home-buying process. This means avoiding major purchases such as a car or that new dining-room set until the entire home-buying process is complete. 2. Don’t move around large amounts of money. In addition, if your family is all about doling out the cash for the holidays, you could be putting yourself in a precarious position. Lenders will also be scouring your accounts for any unusual deposits — those that are 50 percent or more of your monthly income — or any unusual cash withdrawals. These will need to be thoroughly explained to maintain your approved status. 3. Don’t ignore your bills. Payment history makes up 30 percent of your credit score, and even one late payment can have devastating effects. How much exactly? According to Credit.com, if your payment is over 30 days late (the typical grace period given by lenders), it could lower your score anywhere from 60 to 110 points — a substantial amount even if you’re starting with a high score. Real estate agents see and hear a lot, and while shockingly few things surprise them, there’s a fine line between need-to-know and TMI. But the more transparent a client is during the buying or selling process, the better the broker can meet his or her needs. To get the most out of your relationship with your real estate agent, avoid these red flags that can end up landing you with the wrong agent or the right one running for the hills. Agents typically don’t collect a fee until their client either sells his or her current home or purchases a new one. Any time and money spent before then on marketing and other services is out of the agent’s pocket. Simply dipping your toes in the water to see if your house generates interest — and then pulling back — isn’t going to be very enticing for a broker. And as Ortiz points out, putting your house on the market experimentally can have adverse effects on other homes that are actually for sale. “It gives the buyers [a] perception that the apartment is not sellable [or] that the market may be turning into a buyer’s market,” Ortiz says. Not having a deadline can leave brokers unsure of your commitment. Agents understand when their clients have a strict time frame, and can appreciate a few extra days or weeks to close a deal on the right home. But being told they have no target date to sell or purchase a home will leave them wondering if they’re wasting their efforts. Cooper says serious homebuyers will typically have a reason, such as a growing family or moving for a job, that brings about the change in living situation. A lack of deadline puts up a flag that you may also lack commitment to carrying out a deal. “My question for them would be, ‘Why do you have all the time in the world? What are you trying to accomplish?’ That goes back to, ‘We’re not really sure what we want to do,’ and that’s just not a situation, in all candor, that’s beneficial 98 percent of the time to the client and the broker,” Cooper says. Your real estate agent will have to know a lot about you — your financial health, your needs and wants in a living space and any life-changing events that could cause you to buy or sell at a specific time — to do his or her job properly. In order to work successfully with your agent, honesty is the best policy. Cooper says one of the first questions he asks potential clients is why they are looking to sell, primarily to get a full understanding of the clients’ needs and how he can best fill them. “If I’ve got a seller who is changing jobs or who is going through a divorce, those things clearly affect the motivation level they have to sell the home,” he says. You’ve hired a professional to help you throughout the process, and it’s important to give the agent enough breathing room to be the pro, particularly when it comes to pricing. Starting the process with nonnegotiable expectations is a good way to get off on the wrong foot. Manausa explains that overpricing your home will often leave it on the market longer because the right buyers won’t see it. “People go online and the first thing they do is they shop by price range. If you’re overpriced, the people that do see your house [are] comparing it to nicer houses — they don’t want to see yours,” Manausa says. The only thing worse than coming up with your own unrealistic number could be having friends come up with the number, especially when they’re not in the real estate business. Ortiz says a friend’s pricing recommendation often show how kind the friend is but has nothing to do with the actual value of the home. “They’re all your friends and they’ll tell you for the sake of telling you your house is worth $20 million [when] it’s only worth five dollars,” Ortiz says. Rather than have the agent compete with other opinions, keep your friends’ kind valuations of your home to yourself. 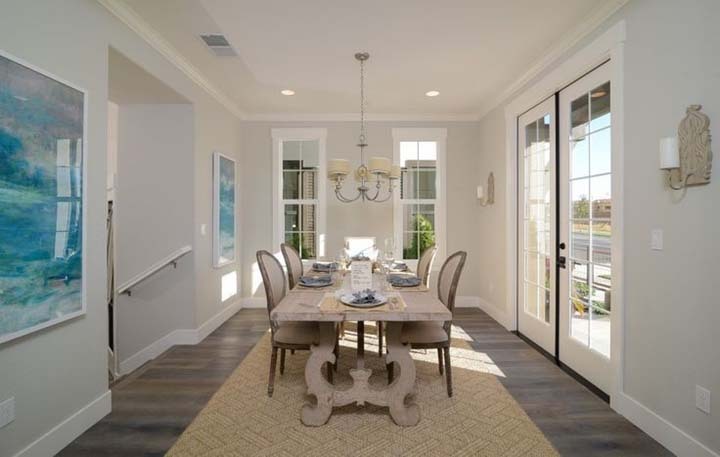 Dining rooms are a wonderful place to express your style through furniture, lighting, art, and color. Here are five favorite dining room styles, and the elements that make them so appealing. Traditional style is all about the details: intricate carving, unique upholstery, textured linens, and statement lighting contribute to this exquisite look. Take your style traditional by focusing on architectural details like embellished table legs or an ornate console serving as a bar. 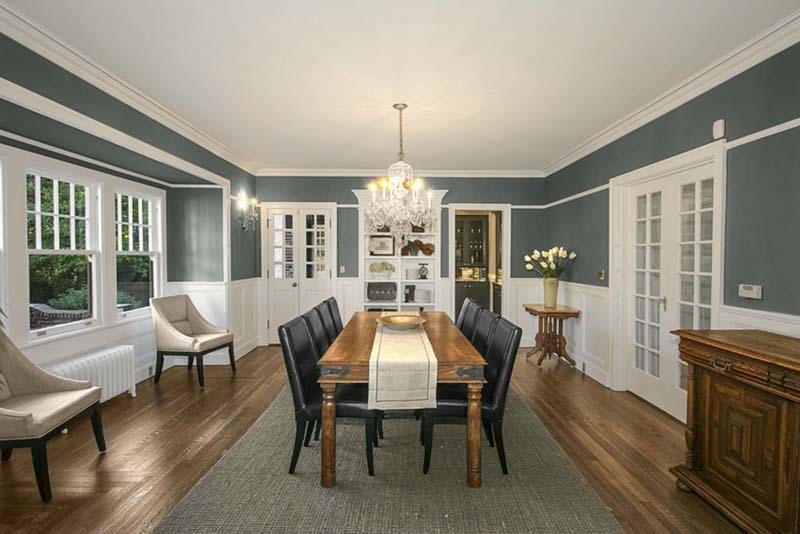 Paneling is also a classic element found in traditional dining rooms. A gray-toned wall with bright white trim creates a crisp and clean look. Top off the style with an eye-catching chandelier and a few sconces along the wall for ideal ambiance. Some other style-boosting elements? Mixed finishes, graceful decorations, and textured rugs balance the look. The modern-style dining room takes many shapes and forms, but some themes are very prominent and consistent throughout. 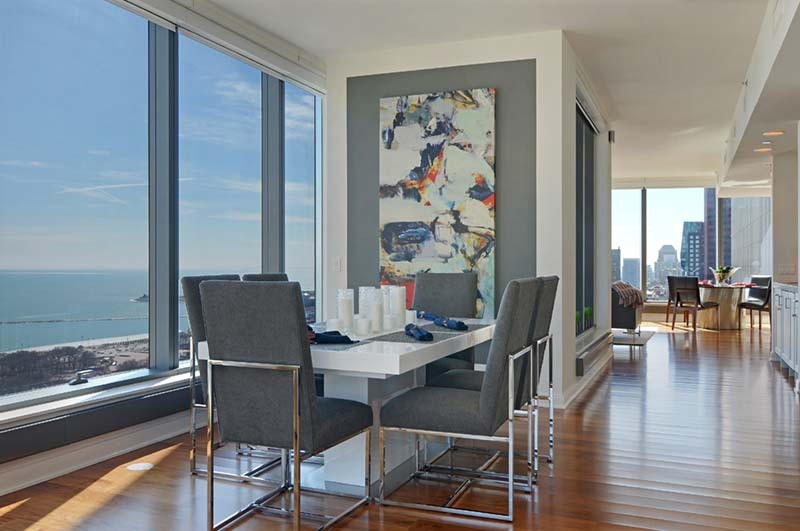 Abstract art serves as a must-have focal point in any contemporary setting, but especially in a dining room. Modern art and decor add just the right amount of movement to an otherwise structured style. Clean lines and crisp corners are another important detail in contemporary design. Whether your chairs’ frames are perfectly rectangular, or your table’s angles are prominent and precise, having perfectly formed 90-degree angles is key to a modern motif. Other favorite contemporary design elements include high-gloss finishes, metallic details, and sleek and simple tablescapes. Rustic design often conjures up images of old log cabins and less-than-lovely ski lodges. Because the rustic look is so heavily influenced by wood and organic textures, it’s best to keep it as light and airy as possible, adding in elements of contemporary and traditional designs. 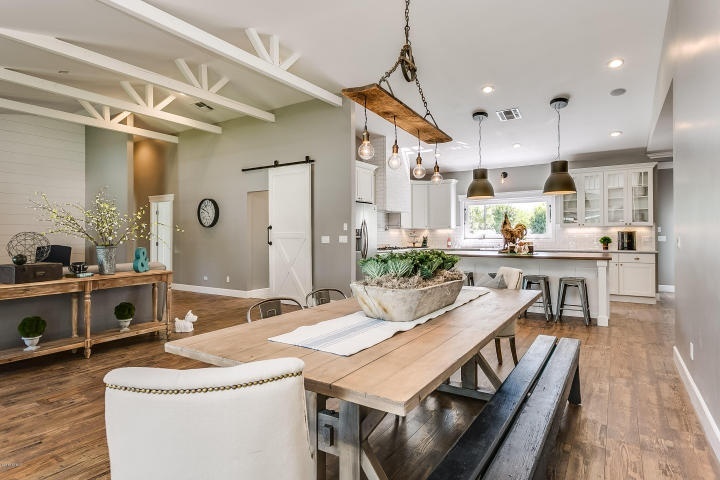 Try creating fresh farmhouse style with exposed beams, a distressed dining room table with bench seating, and plenty of greenery. Details like barn-inspired doors, nailhead trim, and reclaimed wood offer up a refined version of the classic rustic style. If you’re partial to the calm and collected vibe of the Nantucket shoreline, you might be a fan of cottage design. This cozy and unpretentious style offers a light and bright alternative to traditional design with distressed wood elements, tons of texture, and simple, elegant lighting. You can’t go wrong pairing a seagrass rug with an ornate dining table. Keep colors soft and sinuous with tones of gray, beige and white, and lightly add pattern with an area rug, table linens, or upholstered chairs. Other cottage elements to consider: gentle patina on surfaces like tables, consoles, and shelves, slipcovered chairs, and curated tabletop decor. Taking cues from modern and traditional design, the transitional style is a cultivation of contemporary elements and classic architecture. Minimal accents and culled accessories lend a clean touch to a timeless dining room setting, and the less-is-more-approach is alive and well throughout the space with statement lighting and just a few curated fittings detailing the space. If you’d like to mimic the transitional style further, consider these design elements: crisp window treatments, a calming color palette, and organic decor. While these are only a handful of the possible design styles to outfit your dining room, they are great starting points. As families gather for the holidays, some adult children or their parents will broach the topic of real estate and how to make that first home purchase. For parents who have the funds and desire to help adult children buy a home, gifting a down payment is one of the most common ways to help. But it’s not the only option. Here’s a look at several ways parents can assist their children in becoming homeowners. For an owner-occupied property (not an investment property), mortgage lenders typically allow borrowers to use money gifted from a family member as a portion of the down payment. However, if it’s a recent gift, the borrowers must be able to prove the origin of those funds and provide a letter affirming that the money is a gift and does not need to be repaid. 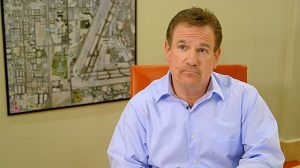 Bob Collins, a mortgage broker with Signal Hill Mortgage in California, says parents gifting a down payment often treat it as “here’s your inheritance in advance,” so they can see the benefit of that money during their lifetime. If the gift exceeds the Internal Revenue Service’s annual gift tax exclusion of $14,000 per recipient per year, then it may require extra tax paperwork. However, a married couple could each give $14,000 to a child and a child’s spouse, for a maximum of $56,000 in four separate gift checks. However, as Yu points out, “it’s not just Mom and Dad, but rich aunts and uncles do this as well.” Assuming the lending relative has the liquidity to make the loan and is prepared to do so, the homebuyer would be able to make an offer not contingent on financing and potentially offer the seller a quicker closing, which could be an asset in competitive markets where all-cash offers are the norm. One thing to remember with family loans is that it still needs to be at arm’s length, meaning it follows the IRS’s proscribed interest rates based on the term of the loan. If earning interest isn’t the goal, the relative giving the loan could choose to forgive up to $14,000 in interest per year under gift tax exclusions ($28,000 if they’re lending to a couple). Otherwise, lenders have to report interest payments as taxable income, just as they’d report interest from CDs or money market accounts. Borrowers can deduct mortgage interest (assuming they itemize their tax deductions) just as they would with a traditional mortgage. In cases where an adult child’s income is too low to qualify for a mortgage on the home they want, having a parent co-sign the mortgage might help. If they can afford to take on the obligation, some parents may prefer this option if the alternative is their child buying in an area they consider unsafe or undesirable. However, co-signing is a bit of misnomer in this case. “They’re really a co-borrower, and they’re in the deal as much as the kids are,” Cook says. “They’re under the lender’s microscope to the same extent: income, credit, current debt load, all the things that we look at for the kids.” If the child’s income is sufficient to qualify for the remaining balance on their own in the future, the loan might be refinanced in just his or her name to relieve the parents of liability. One potential downside for parents is that the mortgage will show up on their credit as an outstanding loan obligation, which could complicate refinancing or buying another home in the future. “They’ve created an obligation for themselves that could limit anything they might want to do moving forward,” Collins says. Also, if the child misses mortgage payments, that will also impact the parents’ credit. With all these options, you should consult a financial advisor first to make sure you can comfortably afford to help without jeopardizing your financial security. You may also want to consult your tax preparer about potential tax implications, and, depending on the circumstances, ask a lawyer how to structure the legal paperwork in case your child divorces or defaults on the loan. Nobody plans on things going awry with real estate transactions, but it can happen, so it’s best to be prepared. Ever wonder how much the home from “Poltergeist” or “The Amityville Horror” would set you back? We did the research to find out what these classic horror homes are worth. Love ’em or loathe ’em, horror movies take center stage leading up to Halloween. But how much attention have you really paid to the horror movie homes behind the on-screen supernatural events? In honor of the scariest season of the year, Trulia dug up the locations where some classic horror movies were filmed or where the events that inspired the scary scripts took place. Then we looked at home prices (including lots of Los Angeles real estate) for similarly sized homes in the same city, neighborhood, or ZIP code. From the instantly recognizable house in “Insidious” to the unassuming suburban home from “Poltergeist,” each of these horror movie homes has a (terrifying) story to tell — and a corresponding real estate value. Are the prices as shocking as the horror movies themselves? You be the judge. Copyright © 2017 My Sunny Holiday Villa All Rights Reserved.